It was a bitter sweet moment for Israel, as it's first lunar probe, Beresheet (which in Hebrew means “in the beginning”) crash landed on the lunar surface. Israel was hoping for a soft landing, achieved so far only by the Americans, Soviets and Chinese. India's Chandrayaan 1 was an impact landing probe. "It's a big achievement for a small country like Israel to reach the moon. It is so exciting, so inspiring and so stirring," said Israeli ambassador to India Ron Malka, at a special event in New Delhi to celebrate the achievement. "We wish Indians better luck with their landing," he added, referring to Chandrayaan II, India's next lunar mission, which is gearing up for a launch this year. "We landed. 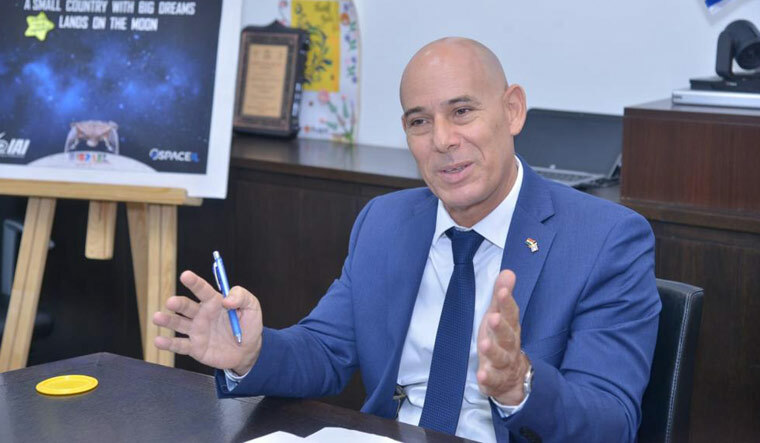 Very heavily, but we managed to land," said Yaacov Berkowitz, director, Israeli Aeronautical Industries. "Next time, well try to land softly." Berkowitz said that the mission, which began as an entry for Google Lunar X Prize challenge for the first privately developed spacecraft to land on the moon, lately became a national initiative. It involved many players of Israel's famed start up sector. The price was sent from Cape Canaveral on a SpaceX rocket. All went well till the craft was 20 km away from the lunar surface, when the ground station lost some communication. At 10 km from the lunar surface, it lost all communication. There's no science that the probe will do now. "We had sent a time capsule, which contained the history of the Jews, drawings by children and other such material. Who knows, one day some other probe may discover this capsule, it will be like a message in a bottle," said Malka. Berkovitz said that an important objective of the mission was to fire the imagination of the youth to dream big. "We call it the Beresheet effect. That our children should dream big. Once you dream it, you can achieve it. You've got to look outside the box, be stubborn towards your goal." Malka added that success was a price, failure was part of the prices. "We shouldn't be afraid to dare," he said.